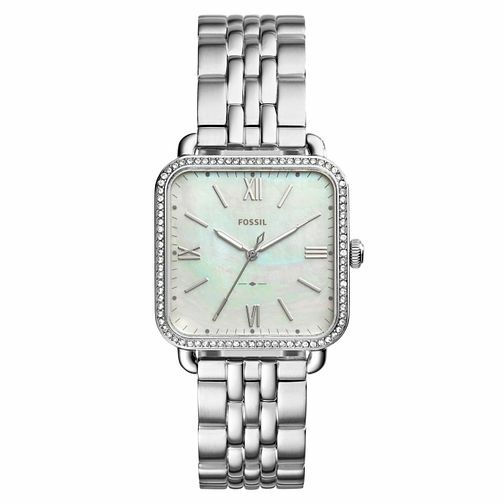 From vintage inspired fashion brand Fossil comes this divine timepiece for her, crafted in stainless steel for a cool finish. This charming watch also features a polished stainless steel bracelet that perfectly compliments the white mother of pearl dial and the stone set bezel. Perfect for adding a touch of glamour to her everyday.